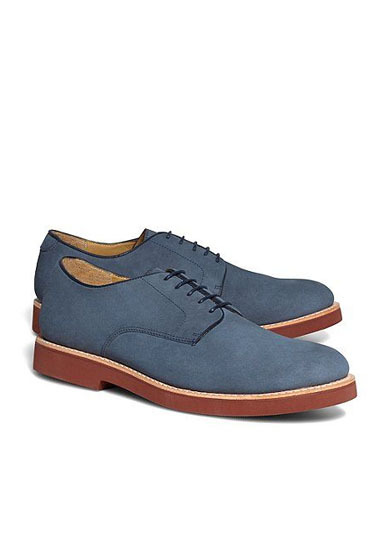 Dress shoes, made from genuine nubuck, which has been shaved down more than suede for an even softer handfeel. Leather lined. Goodyear welted. Brick red sole. Imported.